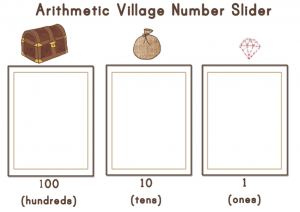 A place value laminate page! A child may say that a 2 and a 1 make 21, please refrain from simply agreeing with them. Take the teachable moment to show that 2 and 1 are actually 3 and 21 is actually 20 and 1. 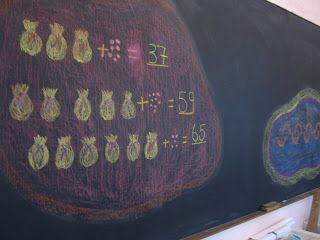 Deciphering this correctly from the beginning will be the biggest building block needed for understanding math. Just saying the words is quite boring and children may glaze over. 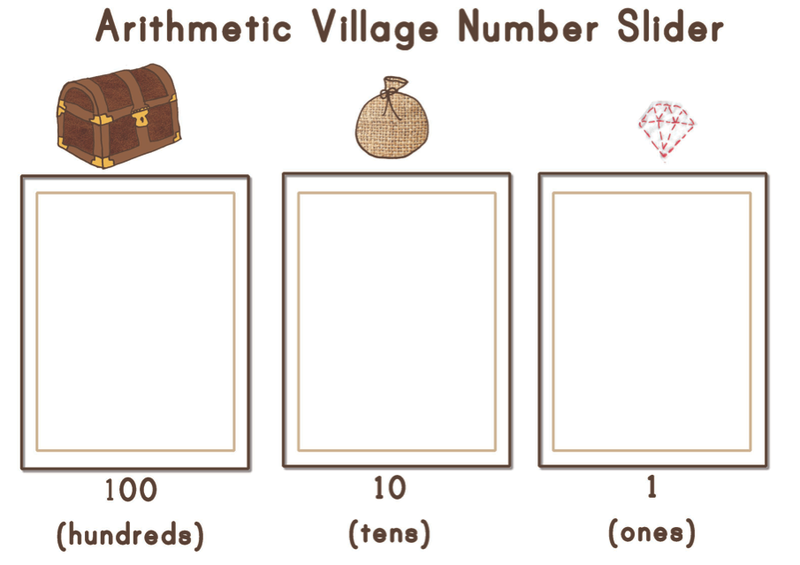 this is why visuals with treasure chests, sacks and jewels makes the learning so much more fun and permanent. Especially for the kinesthetic learner! If you laminate this page, it is easy to sort out what 111 actually looks like in jewels.